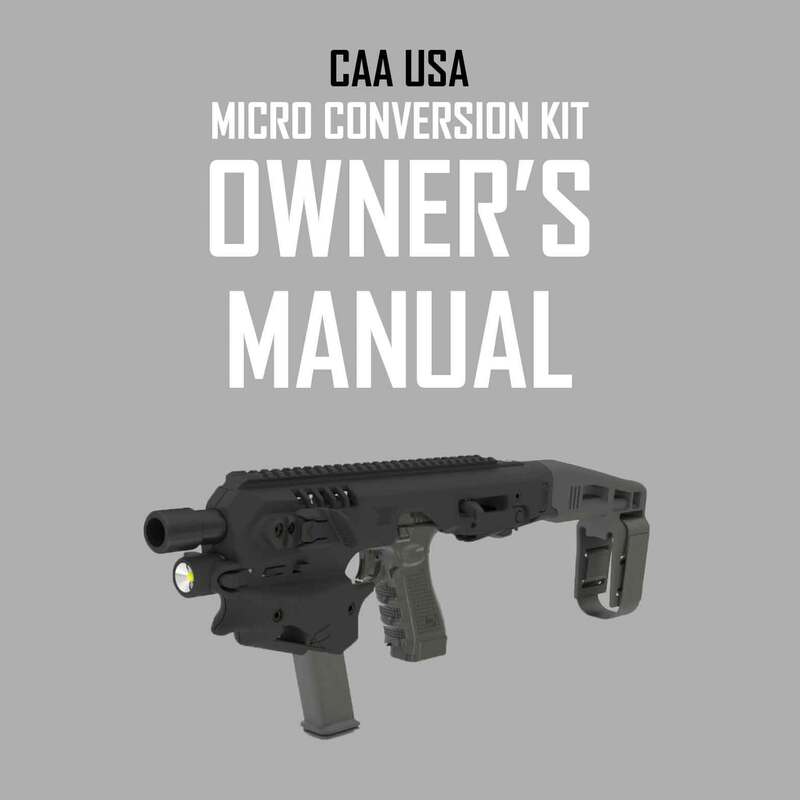 This Micro Conversion Kit fits multiple handgun models, into one platform, and helps convert your pistol into the ultimate submachine gun. 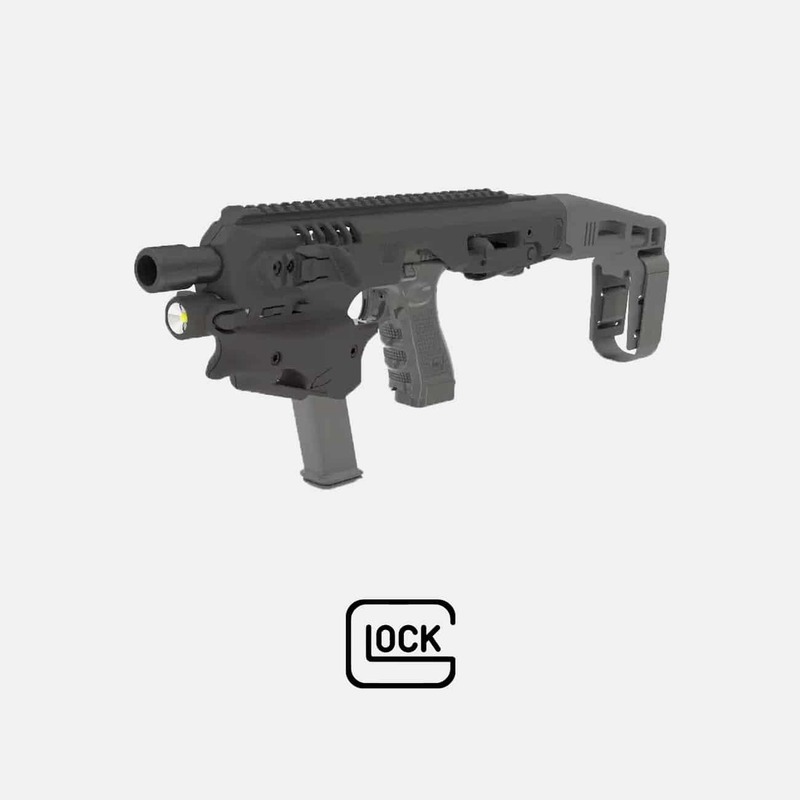 It is significantly improved from previous generations of the Micro Roni Stabilizer. 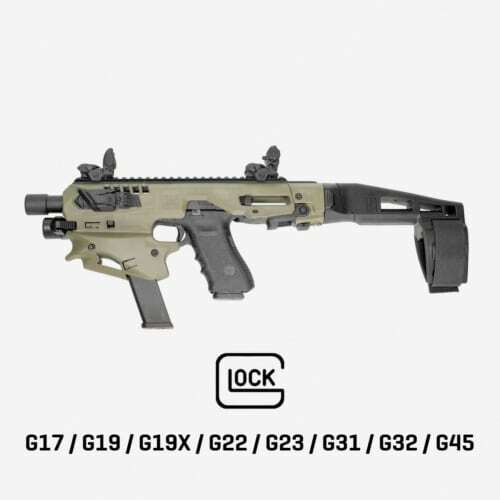 Available for select Gen 3, 4, and 5 Glock models. 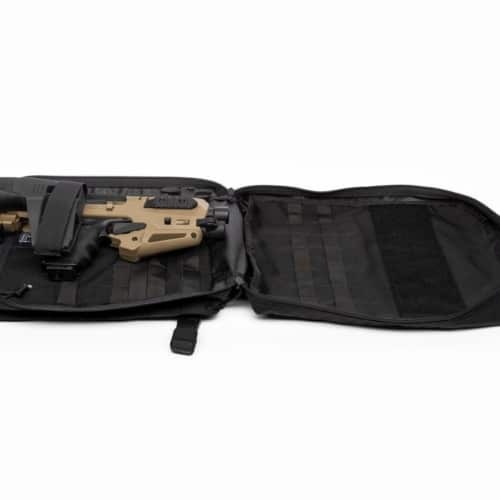 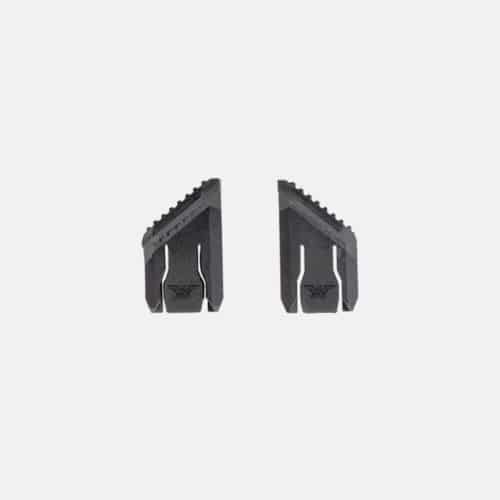 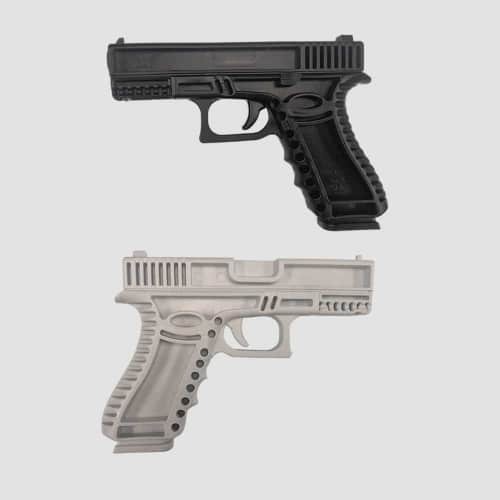 This Micro Conversion Kit is a lightweight and sturdy platform for Glock handguns. 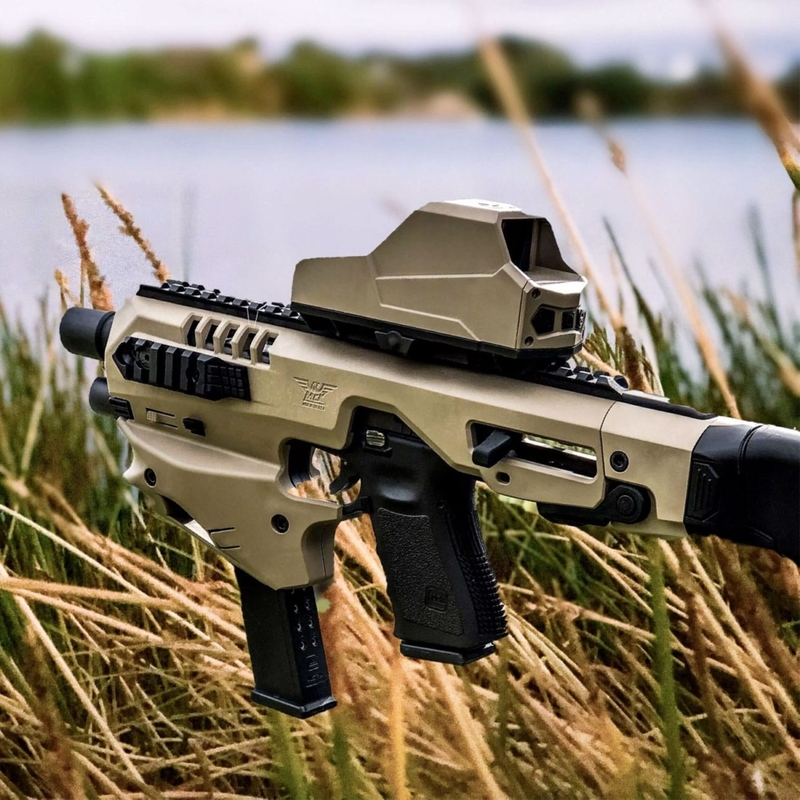 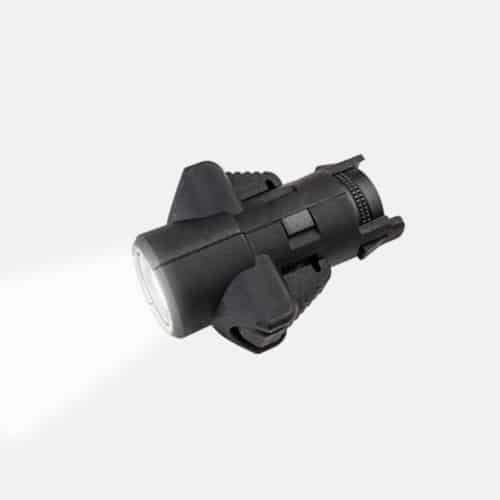 It has a barrel shroud made of aluminum with a polymer body. 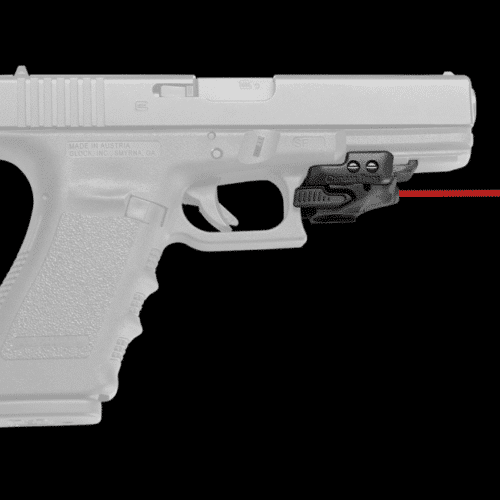 The extended stabilizer, which now comes standard, enables one-handed firing for better shooting performance. 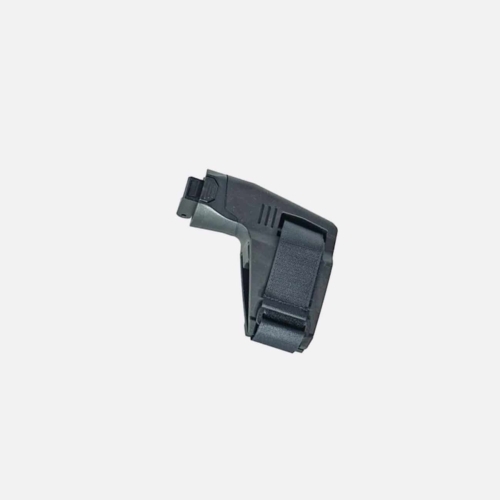 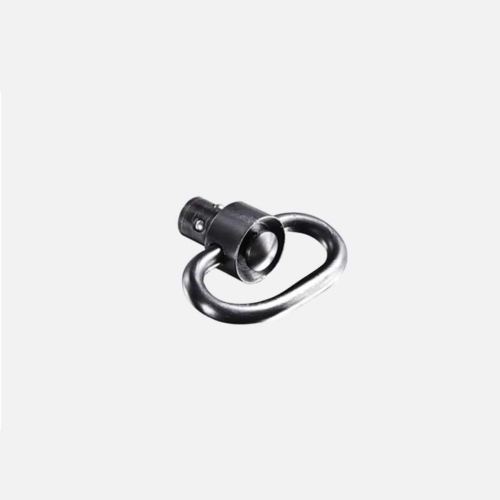 It also comes with a Velcro® strap fastener which provides a custom fit to any user. 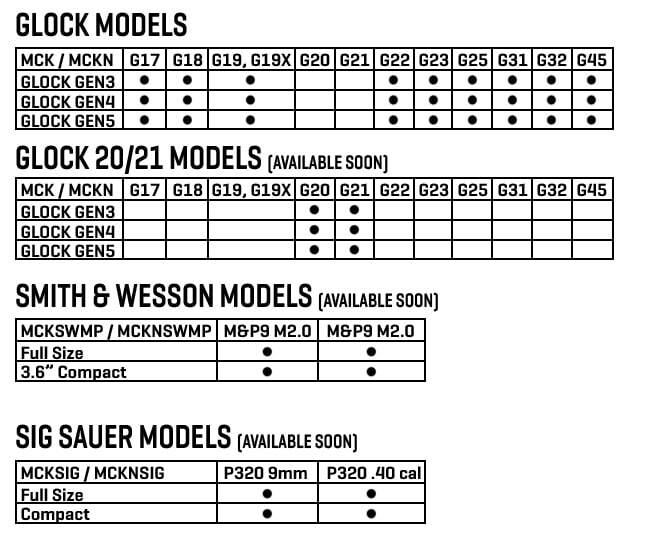 MCK is the most cost effect conversion kit in the world. 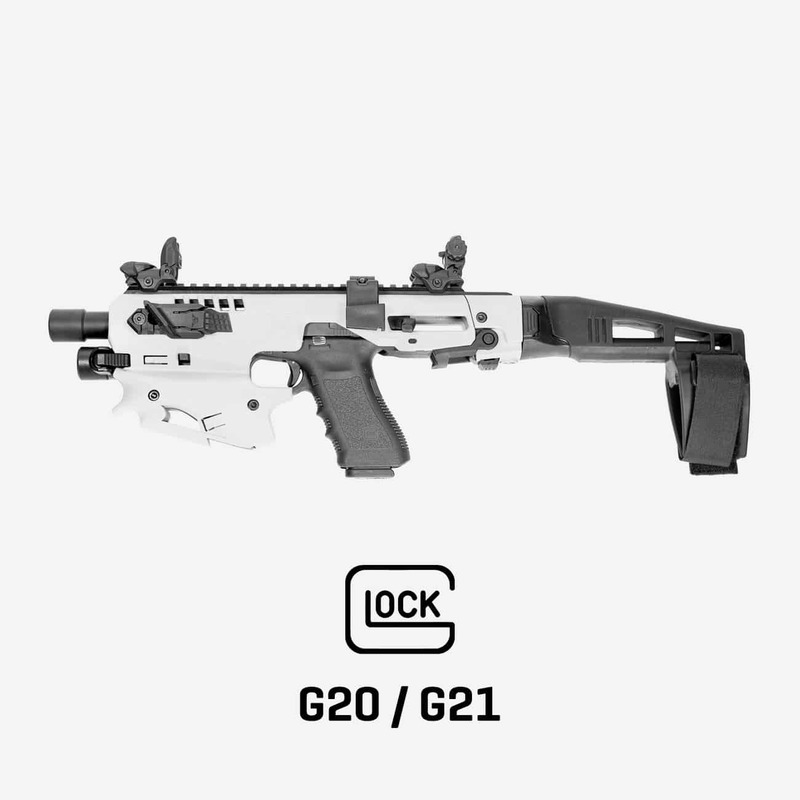 Fastest assembly/disassembly conversion kit on the market. 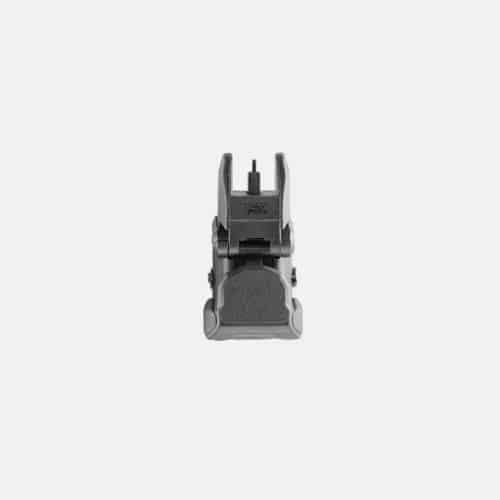 Improving accuracy dramatically up to 200 yards. MCK comes in two versions, one is a NON-NFA product (with standard long stabilizer brace), and the other is a NFA product (with stock).